Click to download reservation form for Eastin Hotel. The conference will be held in Eastin hotel, Penang. 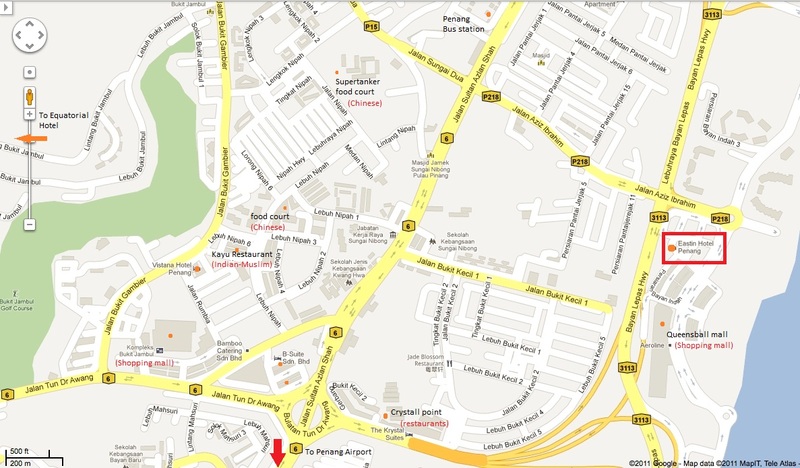 Eastin hotel is strategically located near Penang Free Trade Zone, facing Pulau Jerejak and next to Queensbay mall. The hotel provides participants who take part in IALP 2011 conference special room rate, starting from (RM261/nite – inclusive of tax). We encourage participants to stay in this hotel, as it is more comfortable, exciting and convenient for participants. More information on hotel booking will be provided later. However, participants can also stay in other hotels that we recommend in the Accommodation section. Note that, we provide shuttle bus service to participants staying in these hotels, namely Equatorial hotel, Vistana hotel, and B-Suite hotel. Eastin Hotel Penang features 328 meticulously decorated guestrooms and equipped with modern amenities for the comfort and convenience of the discerning business and leisure traveler. Choose from a variety of room types; Deluxe, Club Deluxe, Eastin Deluxe, and Family Suite, facing the verdant green hills or the shimmering blue sea and Pulau Jerejak, home to tropical rainforest that's over 130 million years old or looking out onto an elegant landscaped gardens. After a busy day, you can relax by taking a dip in our sparkling clear pool, work-out in the fully equipped gym, soothe your mind, body and soul at the spa or drop by Queensbay Mall for a shopping spree. Guests who need to be constantly in touch can also log on to our complimentary internet at anytime of the day or just lie down on the plush bed to enjoy your favourite programme from our satellite television channels. The warm hospitality, impeccable service and care, is a rich tradition practiced at all levels of our staff to ensure your stay is a pleasant one. 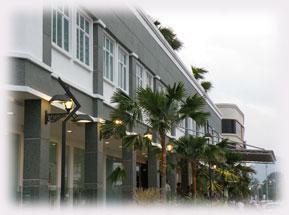 Whether for business or leisure, Eastin Hotel Penang is here to provide you a memorable experience you will treasure. The conference recommends the following hotels. We advise you to stay in these hotels. Shuttle bus will be provided for people to go to the workshop area if staying at these hotels. For those who stay far away, you might have to take cab. Set majestically 150 metres above sea level, the island's golf and convention resort is strategically located 5 minutes to the Bayan Lepas Industrial Zone, 7 minutes to the Penang International Airport and 20 minutes to the city centre. The Vistana Hotel serves its customers with a level of hospitality that compares favorably to international standards, but at a room rate that represents outstanding value. Strategically located in one of the commercial hub of Penang City, with easy accessibility to Bayan Lepas, George Town and the mainland.